The perfect tool for swim training and aquatic exercise routines of all levels now comes in a junior size. 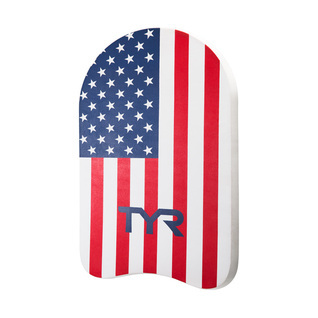 The Tyr Junior USA Classic Kickboard has arrived and it is the same great kickboard you know in the USA colors but now for kids. Immobilizes the arms and isolates the legs, so your body works harder with every kick. Constructed with durable, closed cell EVA foam for extended life and performance in the water.